"LET'S DISCOVER ROMANIAN TOURISM TOGETHER"
The School of Domestic and International Economy of Tourism has as a main field of interest the study of tourism industry and two master studies programs: "Business Administration in Tourism" and "Economy and Business in the Hospitality Industry", including the following possibilities for subsequent career development in the tourism industry (hotels, restaurants, catering companies, travel agencies, ecotourism, rural tourism, agro-tourism, health departments, transport companies, conference and reunion centers, environment protection etc.). Since it was set up in 1991, the School of Domestic and International Economy of Tourism has succeeded in creating a special reputation in the country as well as abroad, offering the labor market thousands of graduates that currently represent prestigious national and international companies. The exceptional collaborations, developed during its existence with well-known international universities, have given the School of Domestic and International Economy of Tourism a leading status in training specialists in the tourism industry. In order to develop an educational system anchored in the domestic and international tourism market practical realities, our school comes with numerous partnerships set up with prominent legal entities (hotels chains, tour operators, transportation companies, non-governmental agencies in the tourism industry, consultancy companies and other suppliers of tourist services). 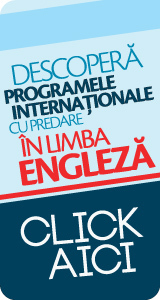 As a member of the National Association of Travel Agencies, the School of Domestic and International Economy of Tourism is also a valuable promoter of Romanian tourism and facilitates inter-educational transfers with companies such as CEDES CD and the Romanian Tourism Employers Federation (FPTR).